Duty free items as the term implies, are products that do not have any kind of sales tax, VAT or customs duty placed on them making them more attractive in price terms than those items that attract these taxes and duties. These are most commonly found in airports or in flight shops and cater to international travelers. Duty free items include a wide array of merchandise including liquor, perfumes and high end jewelry. This article answers some of the more commonly asked questions about these goods. Why are some products "duty free"? Duty is a tax or fee that is levied by the government on products that are sold within the country. When these products are purchased by a customer who is leaving the country, the government often waives this fee. Duty free shops cater to these `leaving customers' and are not liable to pay this duty. Customers in turn, have an opportunity to buy products at lower prices than they would otherwise. In some countries, customers also have the option of claiming a tax refund (subject to applicable laws) if they buy from certain retail stores near international zones. It is however not as convenient as buying "duty free". 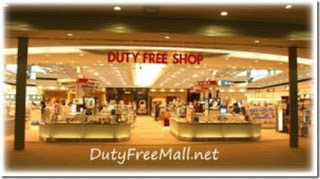 Where can I find "duty free" products? Since they are catering to international travellers, these products can be found where you will find international travellers. This could be international airports, border towns, ports, cruise ships as well as on board international flights. You may, of course, find that you cannot pick up unlimited quantities of duty free items. Sometimes, the limit is set per item and sometimes on the total value of the tax free merchandise. Make sure that you find out the relevant rules and limits. Many retail stores also allow you to get a refund on your taxes which also turn out to be `duty free' albeit with a little more effort. They are present inside the country and not on international zones. Are Duty Free Products Very Cheap? What are the advantages of buying them? It is important to remember that there may be other costs that a shop may pass on making any saving on the duty redundant or less than it could be. This is not always the case but many shop owners leverage their duty free positioning and overcharge the customer. Be sure to compare prices. Ideally you should make a 25-50% saving on these products that you buy. Another great thing about duty free shopping is the chance to try out new products that are often test marketed by big brands in these duty free outlets. Products that is not available in the retail market. These make for great gifts for friends and family due to their novelty. Many travellers also prefer to shop duty free since they have that extra time in airports which they can utilize.